One of the best ways to travel around Annapolis, Highland Beach, and Hillsmere Shores is in a subcompact SUV. This way, you can easily navigate through the city streets and tight parking spaces. And if the vehicle has lots of features, then it’ll help make your commutes much more fun. Two viable options are the Countryman and Soul. We’ll help you decide which one is right for your needs and lifestyle in this MINI Countryman vs. Kia Soul comparison. 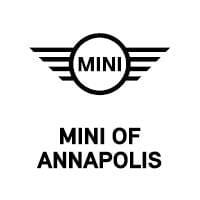 Discover everything that these SUVs have to offer, and contact us at MINI of Annapolis if you have any questions. The 2018 MINI Cooper Countryman and 2018 Kia Soul are great vehicles for your everyday travels. That’s because they have lots of amenities to help make things more convenient for you. For example, they both come standard with 60/40 split-folding rear seats, making it easy to load larger items inside. However, the rear seats in the Soul don’t fold down flat. As a result, it may not be easy to fit all your items in the back of the vehicle. Additionally, the Countryman offers a foot-activated power tailgate. With just the swipe of your foot, the tailgate will automatically open, making it easy to access the cargo area when your hands are full. It also offers a picnic cushion. This is great for impromptu picnics or just to stop and admire the view. Place the plush seat into the boot of the car, where you’ll be comfortable while being a part of the great outdoors. Unfortunately, you won’t find a power tailgate or picnic cushion in the Kia Soul. Both the MINI and Kia options have lots of features to help make your commutes more enjoyable. They both offer heated front seats, so you can stay cozy on especially cold nights. Plus, they each come standard with Bluetooth® technology. This way, you can easily stream audio or make phone calls while keeping your hands on the steering wheel and your eyes on the road ahead. Additionally, the vehicles offer Apple CarPlay™ smartphone integration. Just plug your phone into each car’s USB port, and your favorite apps will appear on the display screen. You can then listen to podcasts, send text messages, and more, without messing around with your phone. 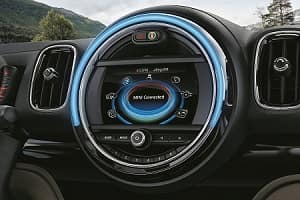 All your media options will be displayed clearly on the available 8.8-inch touchscreen in the Countryman. The Soul, meanwhile, offers an 8-inch touchscreen. That small difference in numbers would be much more noticeable when you see each screen in person. The MINI Cooper Countryman comes standard with a 1.5L TwinPower Turbo 3-cylinder engine that delivers 134 horsepower and 162 lb-ft of torque. If you’re looking for a bit more power, there’s an available 2.0L TwinPower Turbo 4-cylinder that produces 228 horsepower and 258 lb-ft of torque. Unfortunately, the Kia Soul isn’t quite as powerful. Its base 1.6L I-4 only delivers 130 horsepower and 118 lb-ft of torque. And the most powerful engine, a 1.6L I-4, produces just 201 horsepower and 195 lb-ft of torque. Furthermore, the MINI comes standard in front-wheel drive and is available in all-wheel drive. The optional ALL4 system delivers optimum traction, so you can feel confident driving in any weather condition. Unfortunately, the Kia Soul doesn’t offer all-wheel drive in any of its trim levels. There’s no doubt that the 2018 Kia Soul is an impressive automobile. However, the 2018 MINI Countryman has more features and all-around better performance. So, if you want to experience the Countryman for yourself near Annapolis, Highland Beach, or Hillsmere Shores, don’t wait. Schedule a test drive at MINI of Annapolis today!